The purported ‘statement’ continues on as a media-bashing diatribe of epic proportions. 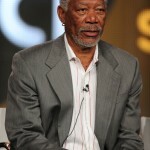 Why on Earth the real Morgan Freeman would take to Facebook to make his opinion on this matter known is beyond me. As a matter of fact, it isn’t true. Freeman’s publicist has since contradicted this ‘statement’ with a statement of his own, calling the Facebook blabber a complete fabrication.